Betting and gambling can be a huge amount of fun, and has been a source of pleasure and a social activity bringing people together for many hundreds of years. Casinos have been around since the 17th Century with the first erected in Italy in 1638. Since then the games that people play have developed and evolved into the ones found today as well as all the glitz and glamour that comes with them in places such as Las Vegas, or Macau – the largest gambling centre in the world. Of course since the emergence of the internet we have seen a surge in the number of websites which offer an alternative to physically being present in a casino to gamble, and these online casinos, which offer many of the same, most popular games as the actual casinos do, have become an incredibly well liked and lucrative business. So what are the most popular casino games on offer both on and offline? Take a look at the list below to see which games are the ones people most like to play, and also find out which online casinos offer free spins listings which mean you can sign up and have a go for free. Slot machines are incredibly popular and there is a great variety of them. The massive range of games you can play on the slot machines are what makes them so popular to such a huge number of people. They have a vastly different feel to the table games you see at casinos as they are solitary and the amounts you can win are generally much lower than elsewhere. Interestingly, in recent years online slot machines have become increasingly popular, as those that like them often love to log on and spend some time playing their favourite one. Online casinos offer a massive range of slot machines as well, some of them relating to popular culture and films such as Lord of the Rings, Deal or No Deal and Iron man 2. Roulette is one of the most well-known and well-loved games in any casino. Its popularity stems from the fact that the rules are very simple, so unlike other, more strategic games, it is incredibly easy for everyone to have a chance to play. Roulette in casino’s is played with a live dealer who is in charge of spinning the roulette wheel and dropping the ball, as well as being in charge of all bets placed of course! Online casinos tend to simply do this electronically, though some do have live dealers who you can talk to during the game and ask any questions about the rules and regulations before placing a bet to ensure that you fully understand. There are a few different versions of roulette to chose to play, each with their own set of slightly different rules. However most people tend to stick to the American or European versions. Online casinos often advertise a free spins listing as a way to draw players in. All players need to do is guess a number or several numbers they think the ball is going to land on, or they can chose ‘red’ or ‘black’ which pays out lower odds. Each number pays different amounts of money, and it is really simply luck as to whether your number will come up. 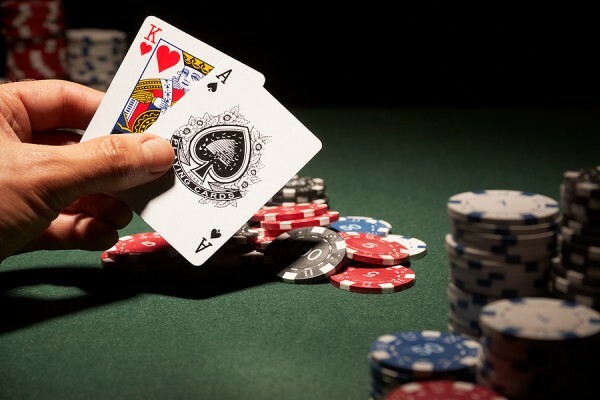 Poker is the king of the casino games and is one of the most played card games all over the world. Casinos often separate the poker tables from other parts of the casino, particularly where big money games are being played as this is very much a game of concentration and skill. There are rules to follow, and learning what each hand means and which hand will trump another is important, however really poker is an incredibly easy game to play which means people of all ages have embraced it. Online poker is also incredibly popular and people can play each other remotely from anywhere in the world. It can be very serious, or very social, played for matchsticks or millions but all in all it is extremely enjoyable – just don’t lose your fortune on it! Blackjack is another famous card came that you can play at casinos online and all over the world. In fact it is believed that blackjack is the most played card game of all time. This historic game is not only played in casinos however, and people young and old often enjoy the odd game of Blackjack for fun at home too! As with many casino card games there are several different versions you can play, and the rules can differ slightly depending on which version you are playing so it is definitely best to make sure everyone understand the rules before you start! Online there is a huge range of different versions of Blackjack that you can play and some of them you can play for free too. Craps is a fantastic game to play at the casino as it is hugely sociable and often this is where you will find the rowdiest, nosiest crew. Here there are a huge number of different bets that you can make and you place your bets on different numbers marked on the craps table depending on what you think the dice will come up with. Different bets earn you different winnings, but the fun thing about this game is that it is everyone against the house so often in a roll if you win, so does everyone else around your table which usually promotes a huge cheer if you do, or a huge groan if you don’t! Online and offline casinos can be huge amounts of fun. Whether you are just starting out or a seasoned professional it’s still worth looking out for casinos offering free spins bonuses – they are usually associated with certain games the casino is trying to promote, but are a great way of having a go, getting involved and of course potentially winning some cash too!